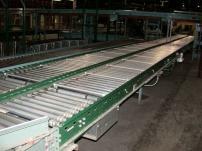 Preferred Equipment Resource is currently liquidating a complete warehouse pallet storage and order picking & processing system. 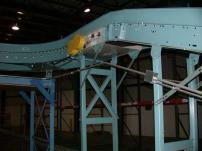 The system consists of 700 sections of Selective Pallet Storage Racking, a 300' long two-level rack supported order picking module, a 300' long single level flow rack module, connecting conveyor systems that bring the picked orders from the modules to packing and weighing stations and out to shipping. All the modules are available as complete systems or as individual components. 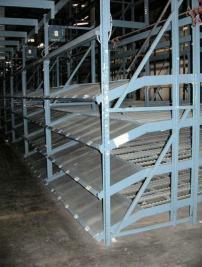 "Call us for more detailed information on the layout, sizes, and capacities of this system. All the components are in excellent condition. We are currently dismantling the systems and are ready to have them installed in your operation."